Having set myself the challenge to ride 12 centuries this year, I need to get the right training in to be able to complete it. Although I ride 5 days a week to work and back, 20 miles a day isn't enough to comfortably ride 100 miles in a day. With the first ride due before the end of the month, January's training will be short and sharp. My first ride of the year was 25 miles so the second training ride was going to be double. With the weather being wet, windy and often cold in January, choosing a suitable window for riding is a challenge. I ride in all weather, but when you ride in all conditions as often as I do, leisure riding should be a tad more enjoyable. I decided to ride on Sunday, rather than the Saturday as there was no rain forecast and the wind wasn't as strong. Based on the wind however, I decided to do two anti-clockwise loops of my beachy head training circuit. Riding for an hour or so is fine without any extra fuel as the body stores about 1,500kcal of energy in the form of glycogen. Once this is used up, your body can use fat to provide energy but not when working at high intensity. To keep your energy stores topped up, you need to fuel as you go. 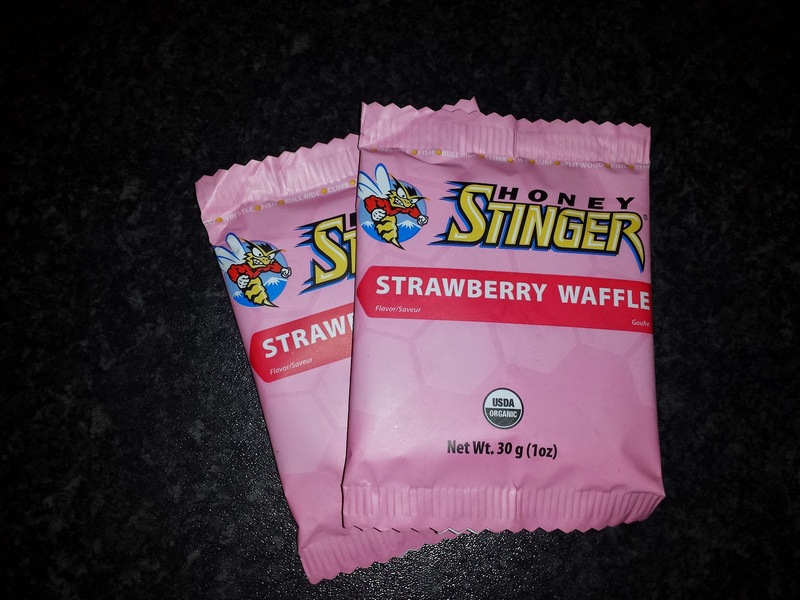 The nice guys at 2pure sent me some Honey Stinger waffles to test out. These are a little different from my normal ride fuel of gels or bars. The waffles are like soft chewy thin biscuits. The're fairly easy to open even with thick gloves on and are easy to chew unlike some energy bars. They taste great too. The only negative is that they are a little wide and don't easily fit in all jersey pockets. Each waffle is 142kcal and 20g carbs. Along with fuel, hydration is also critical. When it's cold outside the temperature of your drink can drop dramatically. Fortunately the guys at Nathan Sports have come up with a drinks bottle that's double wall insulated to keep your drink at the right temperature. On the flip side, it keeps your drink cooler for longer on hot days. The bottle has a great wide mouthpiece that allows a fast flow of fluid. It took a little getting used to though. Another neat feature is the insulated insert has a 360 degree reflective design that is great to keep you more visible on those dark mornings and nights through the winter. You can see it glow in my photo. 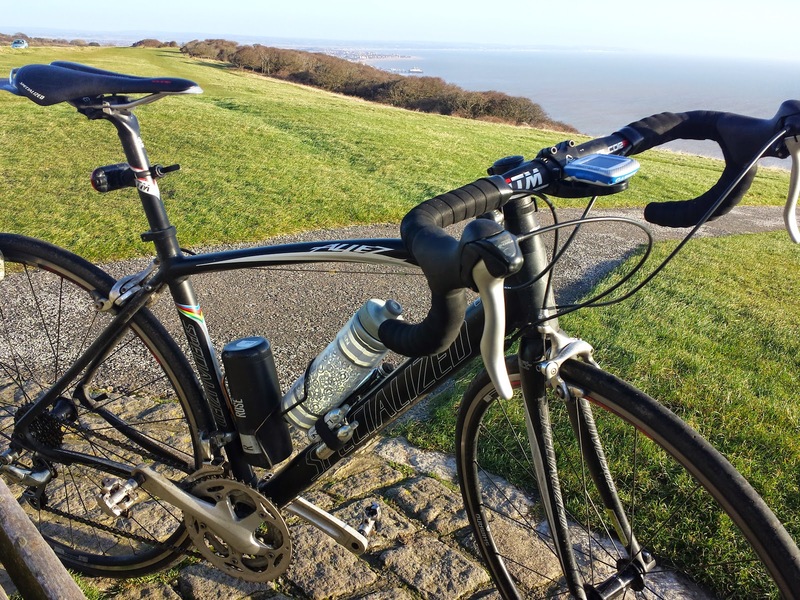 Riding on top of Beachy Head was much windier than I was expecting. I stopped to take a picture and my bike kept blowing away! The wind did have a couple of bonuses though, It was behind me up the biggest hill and when I got to the top I was a little warm so it helped cool me down. I think I may just get another 50+ mile training ride in before the first century. Watch this space.